We are sad to learn of the passing of yet another guiding light for our Museum. 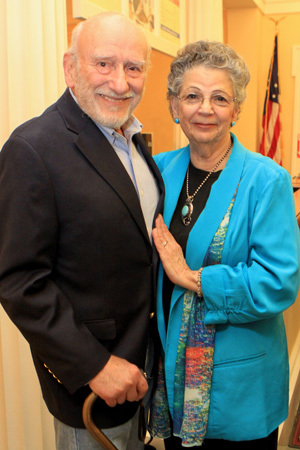 Carol Tinkelman was a friend, member of the Museum’s board, and beloved wife of illustrator Murray Tinkelman. Carol Tinkelman had been her husband’s partner in Tinkelman Studio since its inception in 1957. From January 2006 to August 2015, she was the Program Administrator for the Low Residency MFA in Illustration Program at the Hartford Art School, University of Hartford. In 1977, Ms. Tinkelman was hired as the Westchester Coordinator for Parsons School of Design, School of Continuing Education – Westchester Division. She became Director of this program in 1979 where her responsibilities included: designing curriculum, hiring faculty, and registering all students for the Associate Degree program and Continuing Education classes. In addition to her work with Parsons Westchester Division, Carol Tinkelman was the Westchester Coordinator for the New School for Social Research, Center for New York City Affairs, Masters Degree Program until 1982. The Tinkelman Family is asking those people wishing to make donations in Carol’s name to send them to Norman Rockwell Museum. Donations will support the Murray and Carol Tinkelman Illustration History Collection, a collection of tearsheets that will go to Museum’s Archives. We send our condolences to Carol’s many friends and family.